I recently bought my first tin of Old Bay Seasoning and love using it to add some sass to seafood. Cook up this delicious dinner for two in just a few minutes, and bonus points for only using one frying pan to put it all together! In a large frying pan (nonstick if you’ve got it), melt butter over medium heat. Add garlic and sauté for a minute, until fragrant. Add corn, tomato and jalapeño and sauté for 4-5 minutes, stirring occasionally. Season vegetables with salt and pepper and distribute between two dishes. Heat olive oil in the same frying pan you used for the vegetables. Add shrimp and cook until pink. Dust with Old Bay Seasoning and stir to coat. 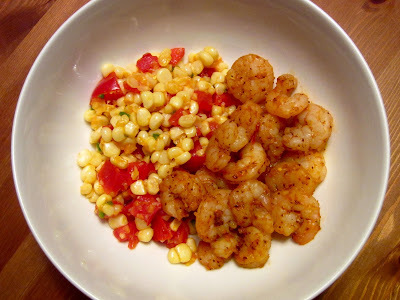 Add half the shrimp to each of your two dishes and enjoy. Have you made barbecue chicken in your slow cooker yet? Why not? 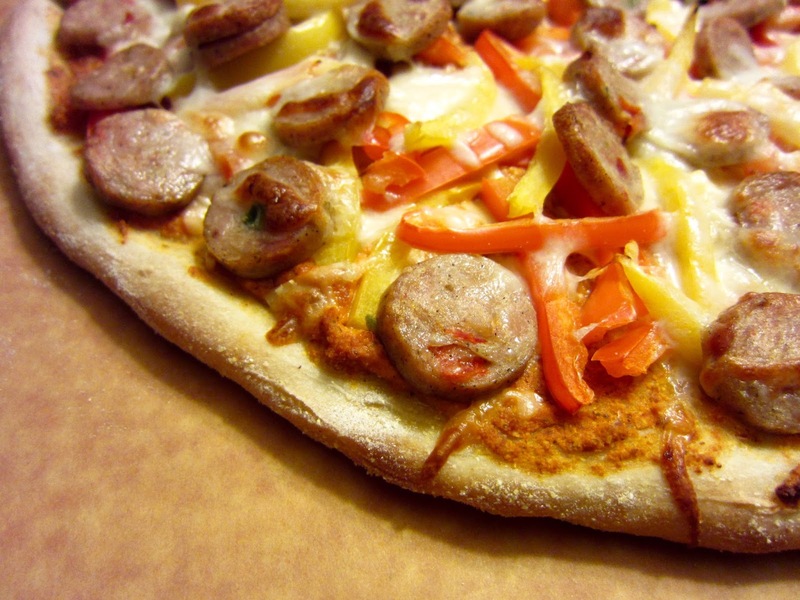 It’s super easy and mighty delicious. 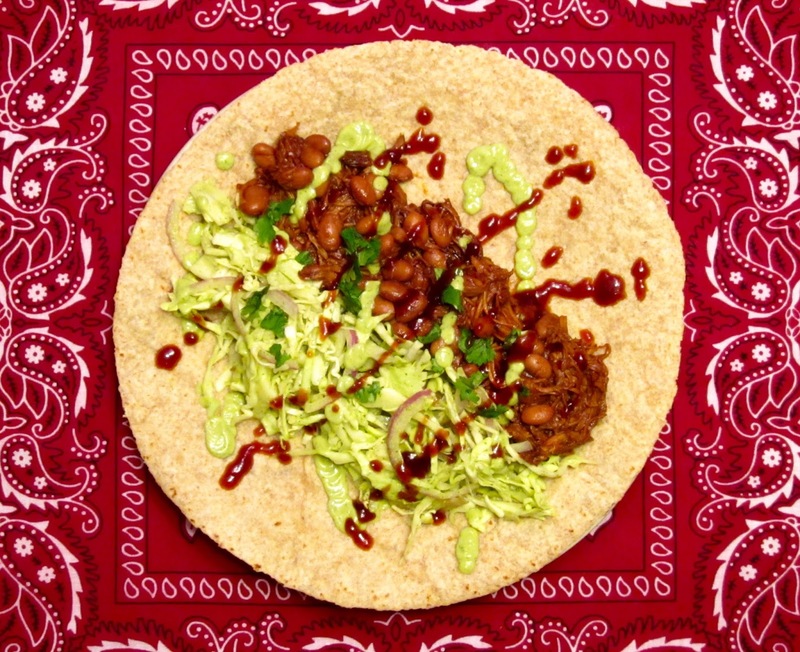 Put it on top of a baked potato, mix it up with some fresh veggies to make a great dinner bowl, or try it my new favorite way by rolling it up into a burrito with some tasty slaw. Place chicken in slow cooker, add barbecue sauce and cook on low for 6 hours. Remove chicken from slow cooker, shred with a knife and fork. Return chicken to the slow cooker and add pinto beans, stirring so everything is coated with sauce. Cook for an additional hour on low. Remove from heat. To make the dressing, add avocado, yogurt, cilantro, cumin, onion powder, garlic powder, lime juice, water and white wine vinegar to a blender or food processor and blend until smooth. Make the slaw by tossing the cabbage and onions in a bowl with enough dressing to lightly coat everything. 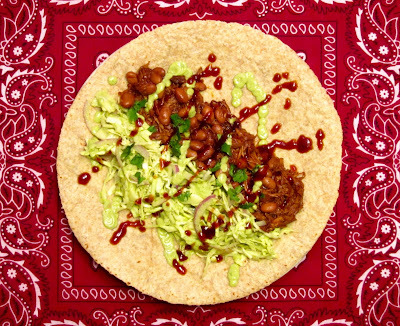 Add chicken and slaw to the middle of your tortillas, drizzle with extra barbecue sauce and avocado dressing, roll 'em up and enjoy!